This project was a 118,000 sq. ft. new buildout of floors 6-9 on top the former Greyhound Lines bus station in downtown Washington DC. 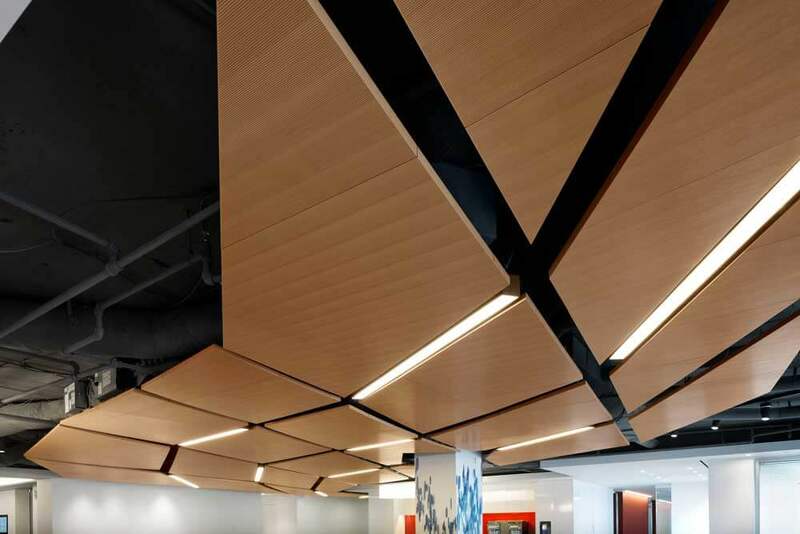 The project featured a custom serpentine wood ceiling which ran from the reception area through video conference rooms to a coffee and lunch area with two full time baristas. 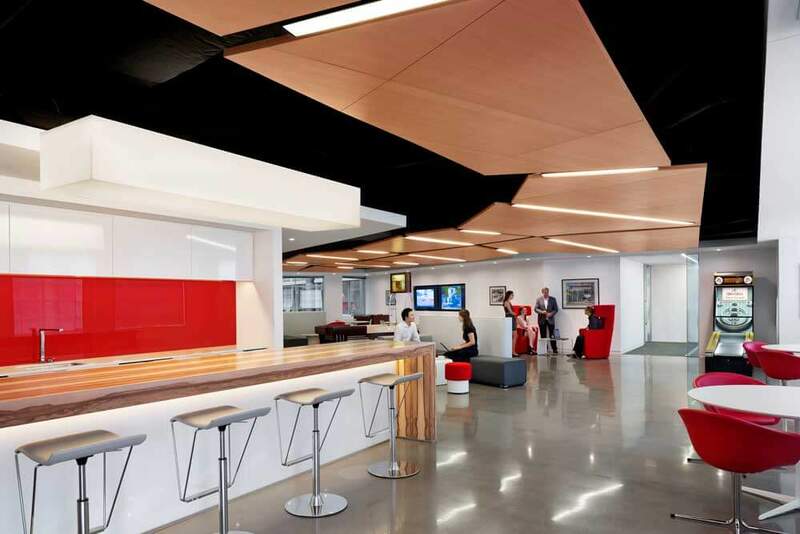 Acoustical sound dampening panels provided a quiet space while maintaining a open feel with polished concrete floors and exposed decks.